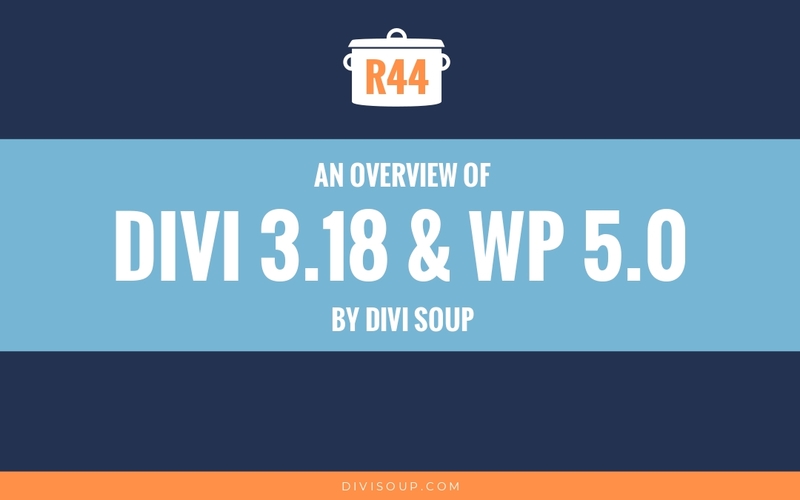 For Recipe #5 I have decided to create quite a simple and short tutorial but something I have seen asked in the Divi Facebook groups several times. 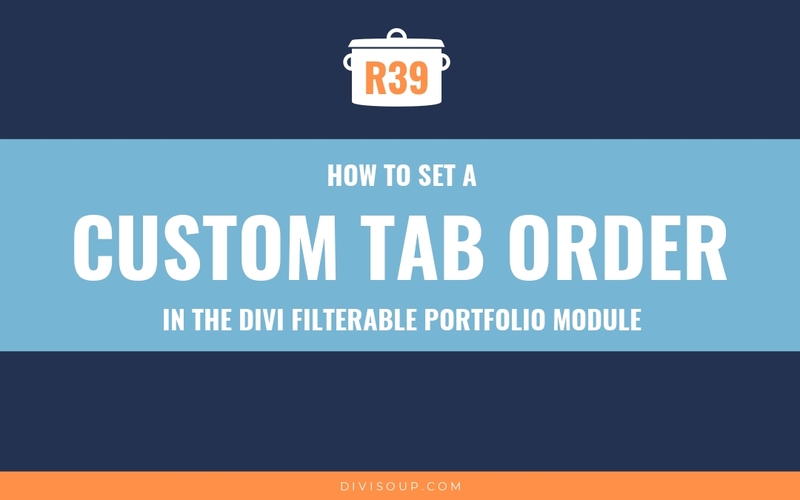 Equalising the tabs in the tabs module in Divi so you don’t get that large ugly space at the end when you only have a few tabs. NOTE: I am using Divi 2.6 for this tutorial so a few things have moved, primarily the place to add your custom css class is now in the custom css tab rather than at the bottom of the general settings tab. The first thing we need to do is create our module. 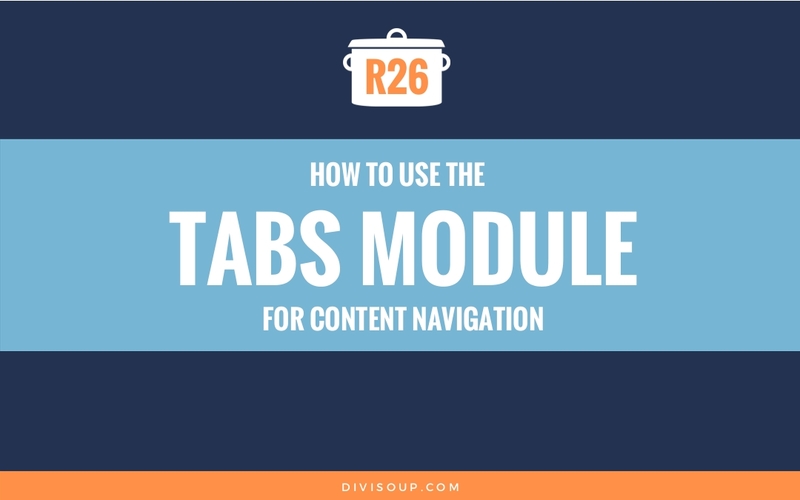 So add a new section with one column and then add a tabs module. Next, open up the module settings select the custom css tab and give the module of a css class of equal-tabs, then save & exit. Now let’s get onto adding our content. 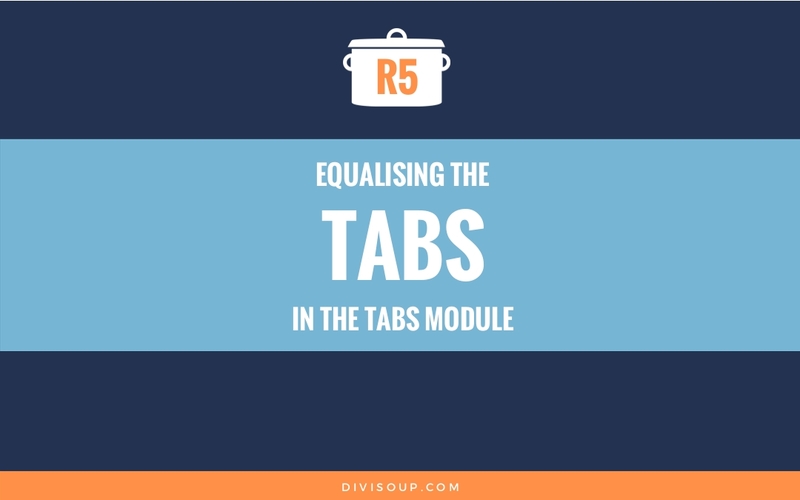 Open up the tabs module and begin adding your tabs, I have added 5 but the number is up to you, you’ll just have to do your own math a little later! When you are done save & exit. So now you should have a default tabs module looking something like this. And that’s it, now you should have equal tabs. Hi, thanks for this great tutorial. Really helped me there. I have one issue in mobile view the tabs are lining ontop of each other but iin 25% width of screen? Its set to 100% width for mobile. Any ideas why this is happening? 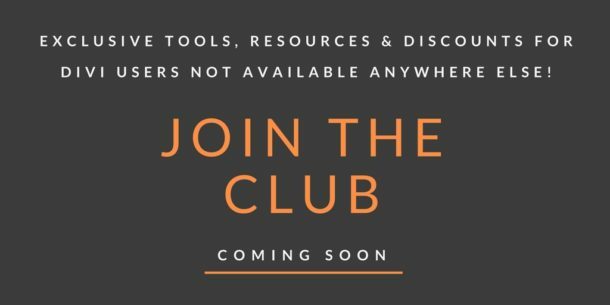 link to screanshot: https://cl.ly/b512efa2f4cb. Please ignore my prvious message, I found the solution. Can you tell me how can I remove the grey right part in my tab ? And do the 3 parts equals. I tried the code but it didnt work. I love this! 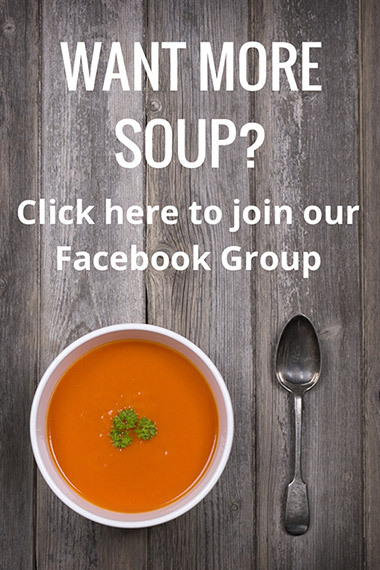 Thanks for the tut – how can i align the tabs at the bottom? That’s quite a few tabs! You may need to decrease the text size, module padding, row padding, and/or section padding on tablet views to fit everything you have there. Its only 8 tabs as per what Michelle mentioned in her recipe. I have no padding anywhere in this module, have tried all % to get no “bit” at the end. Have decreased font sizes….. nothing seems to work. The recipe was 5 tabs, not 8. Seems you have it sorted per my recommendations now. Your tutorials are a great help to me, putting together a divi site for a NGO I’m working with. The boxes are resizing but the text isnt, could you point me in the right direction? 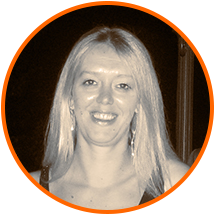 Hi Michelle, I used your code to do the same for the Filterable Portfolio Module. Hi thanks for a great tutorial. i was wondering how i could use this in two instances on a web site, using it for three tabs on one page and four tabs on another page? Thanks again!! how to position it on left any css code needed for this?? Hey- should this still work? Have tried in the child theme CSS and the standard custom CSS option and neither made the edit to the tab I have in place. 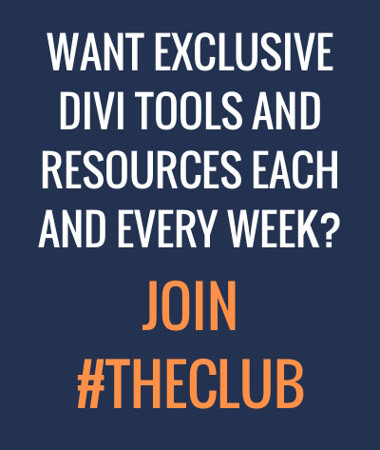 Just wondering if in theory this should work since all the latest divi updates? Worked beautifully! Looks much nicer, thank you Some of my words are short and others are long so to have them equal looks sooooooo much better than before! I do have an odd number of tabs though. Any way you know of to fill up the last gap or change the background colour of the black space to match the inactive tabs so it doesn’t stand out? How would I change this if I didn’t want equal tabs, but wanted the tabs to occupy 100% of the width of the tab module? Is it possible to make those tabs centered? Thank you. That was a cool edit. But what is you want to just center the regular tabs? Normally they are aligned left with that space to the right (I have 3 tabs) What would be nice is to be able to just center the tab controls and maintain the look and feel of them on responsive. Michelle, this is great. But I miss a – responsive – vertical equalising. Try to fill each tab with a different text. 10 words, 20 words, 30 words, 40 words an 50 words. The wohle site will change ist length. One useful receipe again ! Thank you. How do you calculate the device breakpoint if you have 3 tabs ? The breakpoint depends on the length of your tab titles as the longer they are the higher the breakpoint will need to be so the text doesn’t get truncated. If you have a link I can take a look for you?